To make your holiday shopping a little bit easier, we've compiled a list of the best smartwatches and wearables you can buy right now. All of these will work on both iOS and Android (though if you're buying a smartwatch for an iPhone owner, an Apple Watch is probably the way to go). Without any further ado, let's get into it. 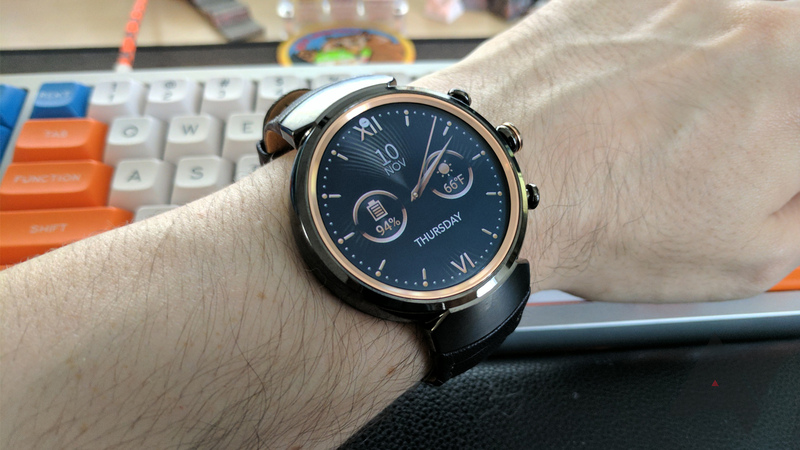 The original Huawei Watch is still one of the best Android Wear watches of all time. It had a fully circular display, good battery life, and a great (if slightly bulky) design. I bought one earlier this year to replace my original LG G Watch (the square one). Most people hoped the sequel would be mostly the same, but with the addition of NFC and/or LTE. Unfortunately, the Watch 2 was a disappointment to most. While it did add NFC, the design left a lot to be desired. Huawei later released the Watch 2 Classic, which returned to the design of the original, while keeping most of the features. The Watch 2 Classic has a 1.2" circular AMOLED display, with a resolution of 390x390. It weighs roughly 47 grams, with a lug width of 22mm. The watch also features IP68 water protection, 4GB of internal storage, GPS, NFC (for Android Pay), and a 420mAh battery. It only comes in one color, Titanium Grey, with black and brown band options. Sadly, there is no rotating crown, like on the LG Watch Sport and Style. This is a great option if you're looking for a stylish smartwatch with Android Wear. The only major downsides are the lack of LTE (which again, some may not care about) and the price tag. Depending on where you buy it from, it can cost anywhere from $330-370. The vast majority of smartwatches on this list are running Android Wear, but there are plenty of people (including some here at AP) that aren't fans of Google's smartwatch OS. Android Wear 2.0 is still a degradation in some areas, especially when it comes to handling notifications from your phone. If you'd rather not use Android Wear, but you still want a fully capable smartwatch, the Samsung Gear S3 is the way to go. It runs Samsung's Tizen operating system, which means you don't get as many third-party apps, but it does all the usual smartwatch stuff right. You can see notifications from your phone, keep track of steps, change the watch face, and so on. 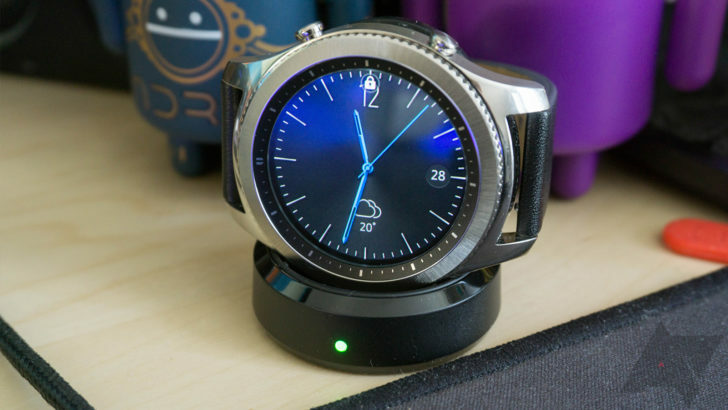 The Gear S3 has one major feature that no Android Wear watch has - Samsung Pay. Just like on Samsung's smartphones, the Gear S3 supports both NFC and MST. That means you can pay at just about every store that supports swipe cards, and any store that supports NFC payments (Apple Pay, Android Pay, etc.). Only a few Android Wear watches support NFC, and none allow payments with MST. Ryan reviewed the Gear S3 a year ago, and while he thought it was a good watch overall, the large physical size and limited functionality of S Voice (compared to Google Assistant) weren't great. If the larger size is a major problem for you, Samsung also has the cheaper Gear Sport, but that model doesn't have MST. It's available for $349 at most stores. The LG Watch Sport was one of the first watches to come with Android Wear 2.0. I'll be honest - this watch is not for everyone. It's bulky, the design is somewhat bland, and the bands cannot be replaced. 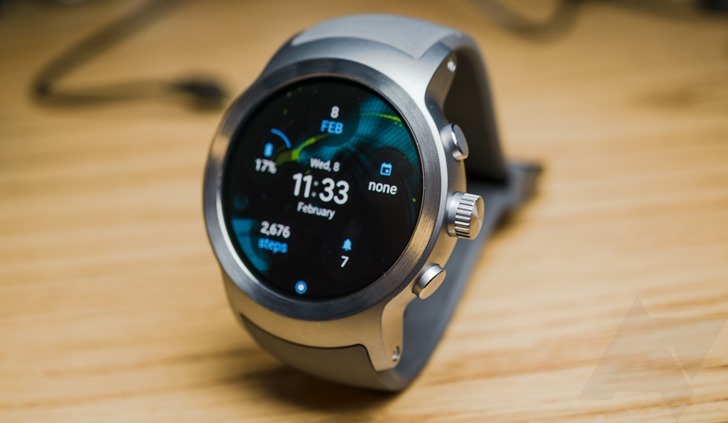 But the Watch Sport is absolutely the best option if you want all the bells and whistles that Android Wear has to offer, at a relatively-affordable price. 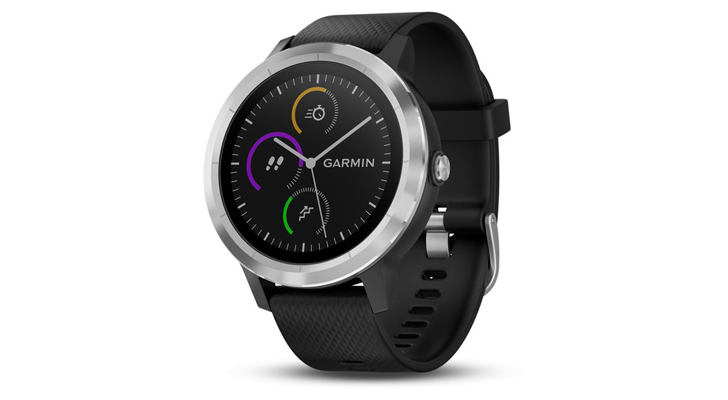 This has LTE, Wi-Fi, GPS, NFC (for Android Pay), IP68 water protection, a speaker, an ambient light sensor, a heart rate sensor, and a rotating crown for navigation. 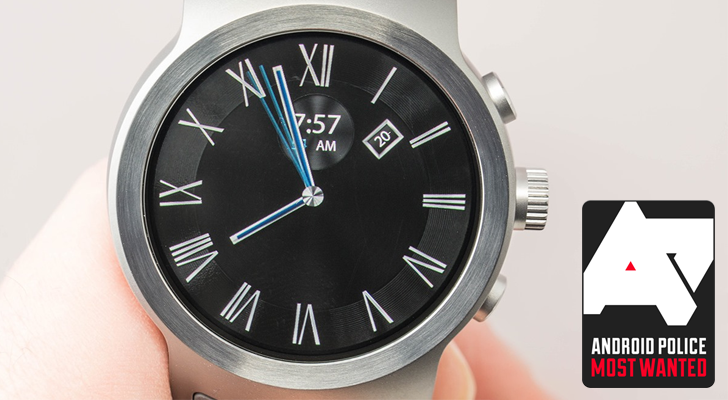 If Android Wear supports it, this watch has it. Cody reviewed the watch when it was first released, and his main complaints were the bland design and mediocre battery life. If you keep the always-on display feature enabled, you can expect a full day of usage, but turning on LTE will drop that to around 18 hours. Unless you're going an entire day without your phone, that probably won't be much of a problem. You can also buy the unlocked version and just not use the LTE. 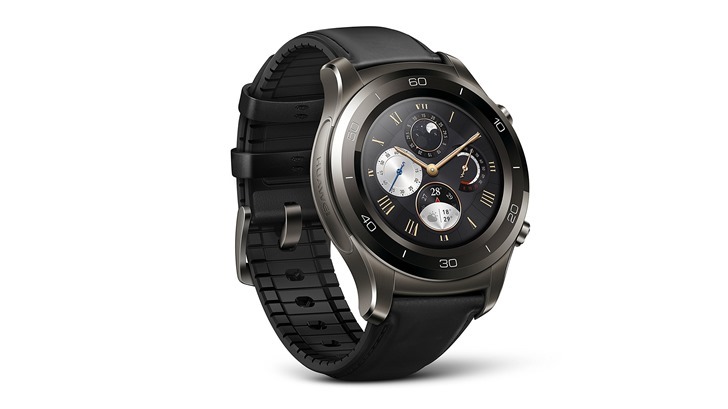 Activating smartwatches on a carrier can be a tricky business. You need to make sure the watch supports your network type (GSM for AT&T/T-Mobile, CDMA for Verizon/Sprint), and you'll need to check how your carrier handles them. Some will charge you for an extra phone line, while others have a special smartwatch pricing tier. Generally, I advise buying a smartwatch through your carrier, if you want to take full advantage of the LTE support. While there is a price difference in some cases, not having to deal with activation/compatibility might be worth it to you. Since it was first released, the unlocked LG Watch Sport has dropped to $250, but the AT&T version is still $350. You can buy one from the links below. For the most part, fitness trackers and smartwatches are still separate product categories. Some smartwatches have basic tracking abilities (like with Google Fit), and some fitness trackers can do smartwatch things (like show notifications from your phone). The Garmin Vívoactive 3 is very much in the latter camp. The watch can download apps and watch faces from the Connect IQ store, track various fitness activities (running/biking/yoga/etc), see notifications from a connected phone, create custom workouts, and more. You can also pay at NFC terminals with Garmin Pay, but definitely check the card compatibility page first, because support is limited. Garmin says the Vívoactive 3 should last up to seven days in smartwatch mode, and 13 hours with GPS tracking active. Reviews of the watch are generally positive, with Wareable saying, "As a sport watch, it's a beaut. As a smartwatch, Garmin still has work to do. But it is getting better." Ars Technica wrote in its review, "The Vivoactive 3 provides more than good looks: it has good internal sensors, including a fast and accurate heart-rate monitor and GPS with solid software to back it up. Garmin has one of the most comprehensive fitness tracking experiences (no matter which of its devices you use), with features that both beginner and advanced athletes can appreciate." The Garmin Vívoactive 3 is $250-300, depending on the model and where you buy it from. Having a smartwatch/fitness tracker combo is nice, but some people only want the fitness functionality. 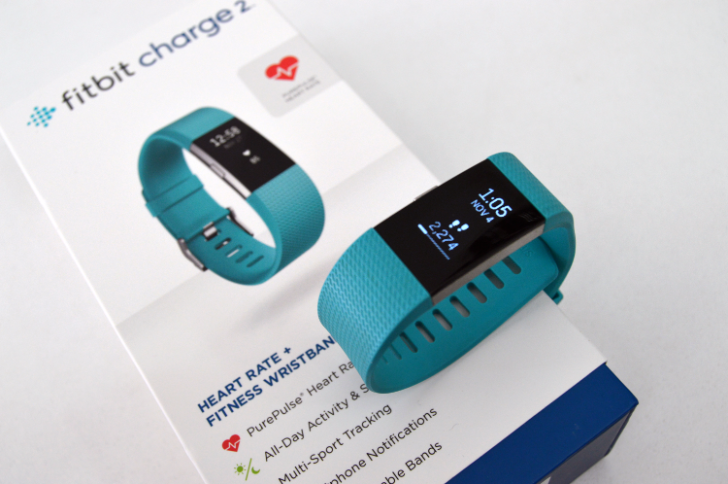 If you're in that group, or you're shopping for someone in that group, the Fitbit Charge 2 is the wearable to buy. It's first and foremost a sports activity tracker, with a great design, removable bands, movement reminders, continuous heart rate tracking, and more. Rita reviewed the Charge 2 with great detail, and while she loved the design and tracking abilities, the meager 4-5 day battery life, lack of GPS, and proprietary charger were disappointing. Still, if you want a fitness tracker (for a relatively-low price) that isn't trying to be a smartwatch, the Charge 2 is a great option. It's currently priced at around $150-170, depending on the size and color. If you don't want to pay much for a smartwatch, but you still want all the essentials, you can't go wrong with the ZenWatch 3. While Fossil Q smartwatches have plummeted in price recently, they lack the sensors and features that other Android Wear products have. The ZW3 strikes the perfect balance between features, design, and cost. The ZenWatch 3 has a 1.39-inch fully round 400x400 AMOLED screen, a 340mAh battery, IP67 water and dust protection, an ambient light sensor (for automatically adjusting screen brightness), three buttons, and a speaker. It does not have a heart rate sensor, NFC (for Android Pay), or LTE connectivity. Ryan reviewed the ZW3 over a year ago, giving the design, battery life, display, and buttons high marks. However, he noted that the proprietary watch band, lack of a heart rate sensor, and mediocre included watch faces (which can be replaced with ones from the Play Store) were disappointing. It took a while, but the ZW3 finally got Android Wear 2.0 in July, five months after the update was first released. The watch was first priced at $229.99, but it's now $179-$199 at most stores. You can buy it from the links below.